Taking my grandchildren to WDW for their first trip in June. Am Soooooo dissapointed the the Electric Light Parade will not be there. I agree….What a mistake! The highlight of every hot day! The MSEP only came back to Magic Kingdom in 2010 replacing the far superior and more magical SpectroMagic. It was nice for a change and, to be sure, it’s beautiful and magical, but I’m fine with another change; it’s time. SpectroMagic was visually more pleasing, had better music and was superior in just about every way for me. I’d love for it to come back, but given MSEP is going to Disneyland replacing Paint the Night there, I suspect that’s what will be coming to Orlando. I’ve not seen it in person yet, but the videos I’ve seen have been pretty spectacular and I think it’ll make a welcome addition to the Magic Kingdom. I have confidence that Walt Disney World will make a great choice, regardless of what that choice is. Look at the (relatively) new Festival of Fantasy Parade; it’s magnificent! 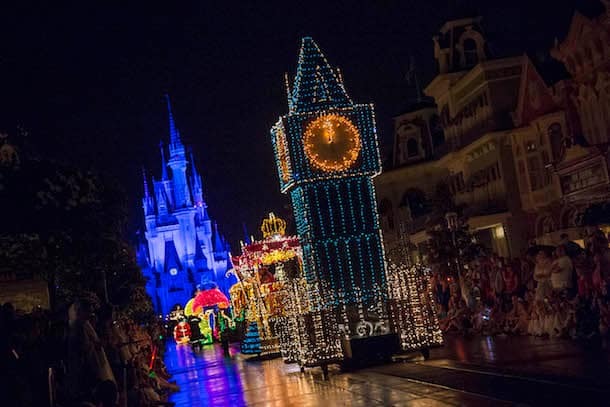 I’m sure the new night time parade at the Magic Kingdom will be no less so. Why would they take the parade away? And whose decision was it? As much money as we and many others spend at Disney, the patrons’ opinion should have been taken into consideration. And none among us would have said it would be okay. The other parades don’t even come close, it is the perfect ending to the day. If Disney can take this away what will be taken next, and what will take it’s place? There is nothing that can replace it. WE ARE GOING TO DISNEY and thank goodness our first night there will be the last night of the Main Street Electrical Parade.. This is going to be my husband and son-in-laws first trip to Disney.. My husband has been telling everyone that he is going to be the biggest 51 year old kid there.. We are so excited about our trip but sad about the end of the parade..
i’m so so heartbroken that they took away the paint the night parade at disneyland, my girls and i LOVE IT! its just so magical and well put and the music! very very catchy! but i’m beyond stocked!! about the main street electrical parade! i was only a small toddler when this was still at disneyland, and i remember seeing it “for the first time” at disneys california in the early 00’s and now more than 10 years later i get to see it again and my girls for the very first time!! wow , im so excited, i cant promise i wont start bawling like a hungry child lol its going to be so magical! I am so disheartened to hear that this special parade will be omitted from the Disney experience. I love this parade just as much today as I did when I was a just a tot. I’m only in early 40s, and absolutely nothing can possibly replace the true joy I feel when I hear that music. The introduction itself still gives me the chills every time … ladies and gentlemen, boys and girls … And watching the expressions on young children’s faces, I am certain this it nothing to do with nostalgia. It’s just simple and magical and sweet. Children can appreciate simplicity and lights, and don’t require the booming bass of pop music to feel excitement during a parade. Classic Disney very much still has a place in everyone’s hearts, both young and old. I very much hope (and plead) that this parade will make appearances again, at least seasonally. I’m so very, very EXCITED about this news!!! I’ve been traveling to Disneyland and Walt Disney World for many years and have experienced MSEP in both California and Florida. Now, I’m so happy that this parade is returning to California! We are planning another family trip to WDW this November. This will make my 18th trip as I have been going since I was very young. I was devastated when Spectromagic left and I am beside myself at the stories about it possibly being permanently retired. It was my favourite part of my vacation. I am desperately hoping that you will bring this parade back and restore my faith and love for Disney again. I just don’t want to believe that this parade could possibly be gone forever. It’s touched so many people. Spectromagic based night time parade will be up and running in time for my visit in August 2017. I am finally returning to the most magical place on earth and i’m bursting with excitement to show my partner what the magic is all about, (he has never been). Come on Disney put us out of our misery and let us know what is replacing the MSEP. I would love to see Paint The Night come to Walt Disney World! I think the parade would be a huge hit at the Magic Kingdom! I’m not naive enough to believe Disney would thoughtlessly remove a beloved classic if they did not have confidence that they have something worthwhile and spectacular to debut as a replacement. I appreciate that they try new things and then bring back “classic favorites” if/when it’s time/necessary. Certainly it must be tough making this type of decision when they know these things are tied to such cherished childhood memories for thousands of families. I’m going to have to trust that they believe they have something better to debut. However, I also know that not everything old needs to be drastically changed or removed. There is something magical in sharing a beloved memory with your child and watching them see things for the first time just as you did when you were their age. At least I know that’s precisely what keeps me coming back…. watching my child enjoy Disney and marvel at the same things as much as I did when I was young. I’m sure that there will be a new parade or even bring back spectro magic which in my opinion was much better than the electrical parade. Either way they are not removing the “magic” they are updating/making new memories. Change will continue to happen throughout the years and Disney will and always find new ways to create wonderful memories. I look forward to seeing what’s next! That is disheartening. What are going to do in its place? It would be nice you would listen to what visitors like and what they would like to see. 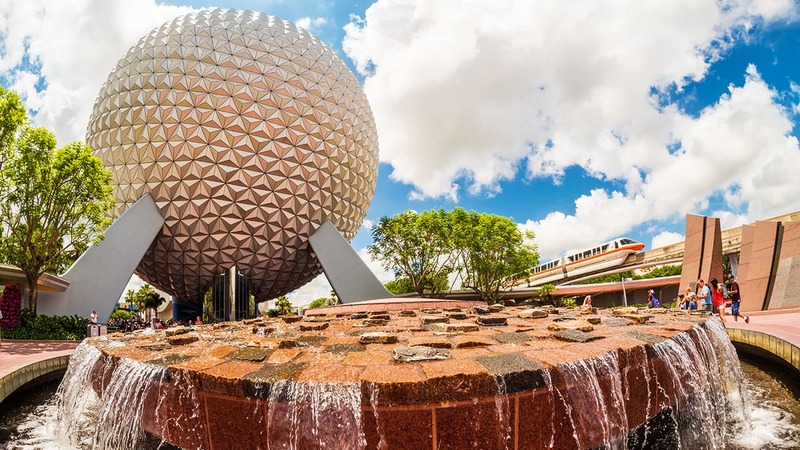 How about bringing it back to DisneyWorld in summer, or seasonally, with advance notice to guests so that we could plan our days at the park accordingly…. For all you people complaining about it leaving pondering this. West coasters, such as I, haven’t seen this in over 20 years at Disneyland. It will eventually be back at DW but until then enjoy Paint the Night! That is a a FANTASTIC parade! It is completely different but great! If you are unsure, check YouTube for videos on it. You will enjoy it. It’s almost disappointing enough to reconsider future visits! Sorry to sound that way but it’s a big favorite of ours! We always try to view it twice during any visit! Hope it’s not gone for good! The best part of the day! 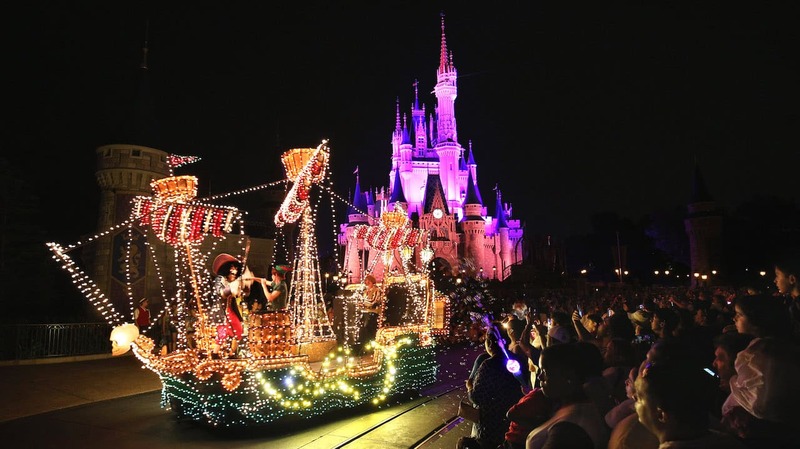 Magical floats, characters, and music are more enjoyable in the cool of the evening than in the heat of the day. It’s good to expand and enjoy new scenes and rides, but just don’t loose the nostalgic magic along the way. It’s so sad…no more “Osborn Spectacle of Lights” at Hollywood Studios, and now no more Electric parade. The very sad end to what was once the entrancing ending to a magical vacation. My wife and I are so very, very disappointed to hear this news. We have been going to Disney together since 1992 and we always see this parade and we are saddened that Disney has decided to stop the parade. It gives so much joy to so many people and it’s a must see event during our stay in the Magic Kingdom. We truly hope that there is still a chance to reverse this decision. MSEP was at Disneyland in Anaheim for 24 years before it ever came to Orlando. I, being a West Coast gal, haven’t had the chance to see it in my kids’ lifetimes and was so sad to see it move. Now we’re planning a trip to Anaheim once more for early November this year and I REALLY would like to know if the MSEP will be going when we visit. It is my fondest memory at Disney and intended to take my family back in January. Disappointing to say the least, and really defeats staying all day if it is not going to be there to wrap up the night. Perhaps we skip and take family to Busch Gardens instead this year. I am very saddened by this. We are making our first trip at the end of October with our kids and was very excited to share it with them. I hope they change your mind. This is very disappointing. This parade was always the icing on the cake at the end of our Magic Kingdom Adventure. Even when helping plan Disney Vacations for friends, The Main Street Electrical Parade was always a must see. Unfortunately those of us that have witnessed the Magic will miss it and all the new visitors won’t know what they have missed. Hope they have something spectacular and dynamic in its place. I as well as my family are in disbelief that Disney would stop the electrical parade. This was the one thing we looked forward to every single day we were at Disney. We are visiting again this year in December for the first time with my grandchildren. Unfortunately they will never get to experience the true magic of the electrical parade! I am deeply saddened by this news. Some of the earliest memories I have as a child are the magic of the Main Street Electrical Parade. Disney wont be Disney without it. I thinks guests were willing to accept some of the other changes, such as ticket prices, because they knew they were going to get the same experience they had know and loved for years, and you really cant put a price on that. However this meant so much to so many people….maybe they will bring it back. I know things have to change but it would be nice if Disney had some consideration for their guests and gave more notice before it was removed. When reservations can be made a year in advance and trip planning has a 6 month window I feel they should have given that to us so people could plan a trip if wanted. I know we would have been able to plan a trip with a six month window but not 21/2 months! Extremely dissatisfied and disappointed for our December trip. It may be time for us to branch away from Disney and explore other amusement parks. I love the Main Street Electrical Parade, and I am saddened I will not get to experience it “one last time.” That being said, I believe Disney is committed to bringing each and every guest a magical experience. There will be something creative, new, and wonderful for nights in the Magic Kingdom. Does anyone know if there will be a nighttime parade after this parade closes? Very Sad to see this tradition leave!! Understanding that change is inevitable in this world of ours, I also understand that some things are not meant to be changed. Something is to be said for the basic family core values and traditions associated with it. Disney World is a place where my parents took me and I have taken my children and am now taking my grand-children to bring them to a place where dreams come true and traditions are made. We were unaware that my grand-daughter had eye problems and basically saw the world in a blur the last time we went to Disney. We were excited about our trip forthcoming where she could see the Light Parade in focus with the help of very thick glasses. So very upset that Disney is moving this “Tradition”. I am so so SO Happy that the Electrical Parade is coming back home! I was so Sad when it left Disneyland! But Now its coming back and I am so HAPPY!!! Now we just need Fantasmic to come back. . I never really loved this parade–I was raised in Spectromagic! Please bring that back!!!!! The Spectromagic music is incredible! I, too, am so sad. I’ve seen this parade dozens of times since I live in Florida and I’ve always loved it and still get teary when I see it. Watching little ones see it for the first time will always bring a smile. In everything I’ve read it doesn’t sound like there’s a replacement. I must say, I’m pretty shocked. Yesterday I was discussing with my husband that we needed to buy a video recorder to take with us to Disney in January. It will be our daughter’s first time going, and I wanted to capture her reactions, especially during the parade at night. I am so very, very saddened that she will never get that experience, and I won’t be able to have it with her. The magic is alive at night when all the characters come out and wave to the children. The music, the fireworks and the lights leave you feeling ridiculously happy. I truly hope that there is something equally magic taking its place – but those of us who know, know it will never be the same. I am sad. I really hate to see this one go away. For several years, we have always planned our days and FPs at MK so that we would be able to see the MSEP. Sometimes twice in a night. I certainly hope that a replacement is quick to be added. Could it possibly be an exchange with Disneyland? Since you brought it up, the Norway pavilion itself still exists, it is not a “cartoon”. Deeply saddened by this news. This was a huge part of Disneyworlds magic, the one you couldn’t describe fully to family and friends so you brought them with the next time to see….and now it’s gone. So sad to see this Magic go. I remember seeing this Parade when I was a little girl. It was always a favorite for my boys see this parade their faces light up seeing the colorful lights and waving to the characters. We never missed seeing the parade when we visit. Which is quite often. Now what Magic does Disney have up their sleeve?? Boy things are really bad at Disney with the decision pencil pushers who dont listen to the disney Guests!!!! First you changed my Norway to a cartoon and now this!!! What is next???? We were going to Disney and camping at Fort Wilderness since you first opened and really enjoyed everything! The fun is lost with these sad sad changes!!!!!! !